This is part one of a two part series on the Trinity. Selected references for God’s triune nature from the Old and New Testaments are provided at the end of this article. 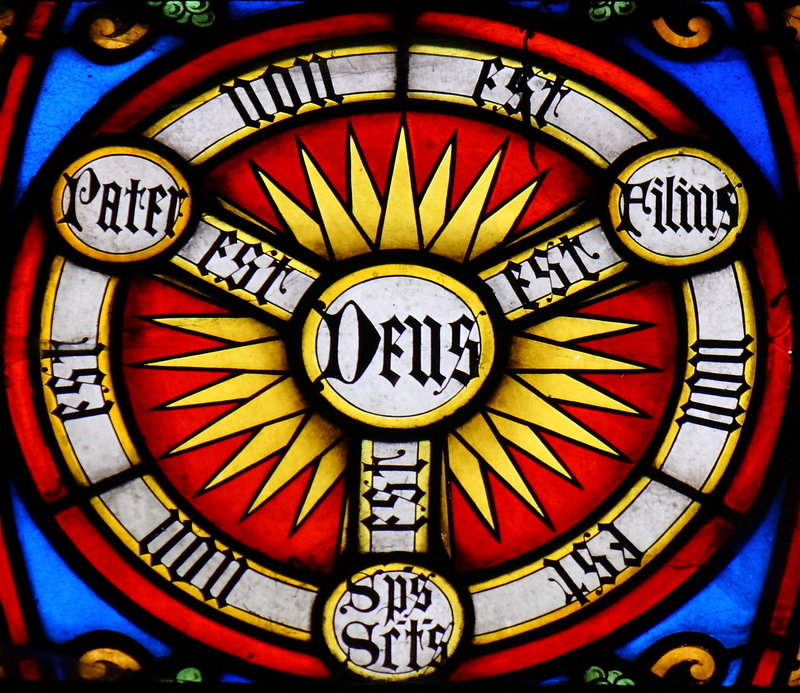 Although the term “Trinity” does not appear in the Bible, the concept of God as triune is present within its text. The use of “Trinity” therefore does not represent the imposition of a foreign concept upon Scripture, but is rather an abbreviated way to faithfully refer to its overall teaching about God’s eternal nature. Those who reject the Trinity as being illogical ought to seriously consider that they accept the principle that unity has plurality in other areas of life. For a helpful treatment about this point, the reader is referred to the essay, “God As Triune, Creator, Incarnate, Atoner,” by W.H.T. Gairdner (a.k.a. Temple Gairdner). It is available online in English, Arabic, and Urdu. The Bible repeatedly emphasizes that there is only one God. It also indicates a threefold distinction with regard to both His attributes and activities. These divine self-revelations reveal to us that the oneness of God is a triune plurality. This triune nature of God is why Scripture can simultaneously attribute exclusively divine attributes and activities to the Father, Son, and Holy Spirit such as Creation, authorship of Scripture, eternality, grace, love, etc. without contradicting the truth that God is one. Admittedly, the triune nature of God involves mystery and would require omniscience to fully comprehend it; nevertheless, the principle that unity has plurality is neither illogical nor beyond human experience. Embedded within the created order, this principle is one of the witnesses to “His invisible attributes, His eternal power and divine nature [which are] clearly seen, being understood through what has been made” (Romans 1:20). As humans we can recognize within ourselves distinctions of thought, word, and body. We nevertheless understand that each of us is an individual, not separate, multiple beings based on such distinctions. We also understand that any one of these distinctions can accurately represent our unity. This is no different in principle than the biblical witness that the Father is God, the Son is God, and the Holy Spirit is God while maintaining that there is only one God. Because God’s nature is triune, each distinction can (and does!) accurately represent this unity. Another example of plurality within unity is the institution of family. The plurality of individuals within a family does not undermine its unity. In other words, multiple individuals in a family do not indicate multiple families but rather one family. Similarly, as we saw above regarding distinctions within an individual person, each family member can fully represent his family. This results in multiple individuals fully representing the same family, or unity. 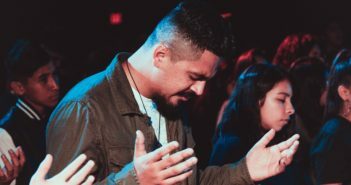 This is no different than the principle that we see in Scripture where it refers—whether explicitly or implicitly—to the Father as God, the Son as God, and the Holy Spirit as God without degenerating into tritheism, or a belief in three separate gods. The belief in the Trinity is hardly an example of “blind faith” or the repackaging of pagan trilogies of gods. It is not, as many allege, the result of mistaken interpretations of the Bible which somehow became standardized as orthodoxy in the historic Christian Creeds and Councils. Belief in the Trinity—that is, the triune nature of God—is found in Scripture itself. All of the Bible’s pronouncements about God are trustworthy including Matthew 28:19 which tells us that His Name is Father, Son, and Holy Spirit. It is this tri-unity that is directly related to the truth that “God is love” (1 John 4:8, 16). Scripture often uses abbreviations and other names and titles for the Father, Son, and Holy Spirit, such as “God” for “Father,” “Jesus” for “Son,” “Spirit” for “Holy Spirit,” et. al. This use of additional terminology does not undermine God’s eternal identity as the Father, Son, and Holy Spirit, but always presupposes it. Finally, although this list is not comprehensive, I have found it to be extremely helpful in my own reflections, studies, and teaching. May you be encouraged to develop your own list(s) of references from it (or supplement existing ones) as the Spirit teaches (1 Corinthians 2:13). He is the Spirit of truth who guides us into all truth (John 16:12-15) that we may correctly interpret Scripture which is the word of truth (2 Timothy 2:15). May the Psalmist’s prayer to God also be ours: “Open my eyes, that I may behold wonderful things from your law” (Ps 119:18). Ken, thanks for the comment and very good suggestion. I have placed a request for the picture to be changed. Excellent content. I would not use that picture, though. I am thinking of Muslims who may read it; but without that picture. The traditional three circles intertwined would be better, IMO. I have appreciated your stand against the “Muslim friendly” translations that take out Father and Son, etc. and also your stand against the c-5 / Insider’s Movement strategies for church planting.